Roger, that one you took of Hayley in the summer is an absolute beaut. She has all the opennes of her gaiety and fun. What I like about it is Sophie in the background which i think is a delightful one of Sophie. There you are way ahead of me. I never met Sophie (or Isaac for that matter). You can see more images of Hayley at the Hornby Talent Quest and watch the video www.hayley-westenra-international.com/video-files/videos-1996-2000/1996_hornby-at-8/1996xxxx_Hornby-Hayleyat8.htm. Click on each still image to enlarge. Sorry about the broken URL... I simply cannot get rid of the space between the dot and htm... Frustrated! I "tried" to remake the link due to a slight restructuring on the site. If anyone else can sort it - please BE MY GUEST! Dear Richard... and Belinda because I think we need your input, please. I don't think I am talking about the same clip? Now I come to think of it I have a feeling the girl (which ever) wore a white dress. The video was longer and I don't think I could download it as it had protection on it. Yours, originally Peter but now just simply totally confused--and probably confusing!!. Earlier this morning Steve MacDonald posted up a picture of Hayley performing 'Lullaby of Broadway' (was that the correct title Belinda?) when she was 8 years old, in the Christchurch shopping mall. Unfortunately this picture has now mysteriously vanished- perhaps that's why we are now confused! It's ironic that we should be talking about the aforementioned picture from the video clip, since when I first started posting on the Forum, I asked Belinda if she had ever seen the "Broadway clip of Hayley in the Christchurch shopping centre". I'd be more interested to hear about some of the other clips to which you might be referring to! I also cracked the joke asking Belinda if she'd "ever had the chance to sit down yet"!!! Glad everyone one likes the Hornby mall footage. The only real young video's of Sophie i have put on the net are her singing at the Hornby mall talent quest age 5 or 6 she is wearing a spotted dress and has quite short hair and is blonder than Hayley. She sings Tomorrow.,And whistle down the wind in 2000. at the mediathon. I think I've repaired the broken link in the earlier post, but I'll post the picture of Hayley at Hornby again here. Thank you for returning to this. I have since done what I should have done at the beginning, had more faith in my own system! I did a search on my PC and came up with the following title: 'Sophie at 8yrs Good Ship Lollipop'. Presumably it was not one of yours and I cannot for the life of me think how I obtained it. It is a sheer joy, viewing it again having forgotten I had it. Sophie is wearing a white blouse top and blue gingham summer cotton poplin skirt. It would be interesting to take a still and compare with the still we are talking about re: Hayley at 8 years. It could be the same girl!!! Twins rather than just sisters three years apart. And Sophie is really showing oodles of talent. It higlights another aspect of NZ and why I want to visit, okay its 7 years on, but that blouse and skirt Sophie is wearing takes me back to the 50s here and i think that is how I am going to find NZ, which is exactly what appeals to me. We have not necessarily progressed here as wholesomely as we might.. But that is a long debate, probably (perhaps not ?) off message. After all, as Hayley herself as said, she attributes much of who she is to her upbringing. But I am not in the mode of knocking the UK. We have some good young people here and there is much light in our too often broadcast darkness. Now, I am going through a technical crisis compounded by problems accumulating through three years of domestic trauma, the backlog of which I am still sifting through, so I am currently on a laptop instead of a large desktop which has all my editing facilities etc but which is 'dead' and I'm uncertain as to repair (perhaps myself) or write off and buy new. So am not sure what I can do. However, I think the next step is for me to search the likely sites from which i obtained it to see from whose archives I might have lifted it. It might be in our archives here! However, having said all this, perhaps it rings bells with you, Belinda and you can deliver the answer out of the top of your head? "Now you see it... Now you don't!" If the picture in my previous post disappears, try copying the above link and pasting it into the address bar. Doing this brings up the picture, and also restores it in my previous post! Is there a computer technician in the house? I see the picture without any problems. Andrew, if you can't see it, have you made a recent change to your profile settings to stop images displaying? That's strange. I also can't see it. The link reaches ' You are not authorized to see this page'. I haven't made any changes to my profile recently at all! I thought there was a relatively simple explanation for the situation... When I'm at home I hook up the Forum via my laptop and the image displays OK... but when I'm at University (like just now) I can't see the image- probably due to an issue with server access. It's not that simple though... I believe Steve MacDonald sees the image intermittently too! I'm not too worried about this though, since I downloaded a copy of the image at one point! OK thanks guys, as it's on the HWI website I'll bring it to Simon's attention. "You don't have permission to access /video-files/videos-2004/hornby_stills/images/Hornby26.jpg on this server"
Designed to stop folk deep-linking an image and, effectively, stealing HWI's bandwidth. Sadly it not only stops the bad guys but the good ones too. I've fallen foul of it myself on occasion. Might I suggest a picture repository such as Photobucket? 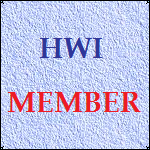 Copy image from HWI as usual, drop it into Photobucket and link to it there. Job accomplished!! Of course, there is a much easier way... link to the holding page itself. Okay, so the image won't show directly within the Forum message, but access will still be available, and it saves time and duplication into the bargain.